We asked the barista what their specialty was at Fujinoya Bistro. He suggested we order the Fujinoya Special Chocolate Cake and the Japanese Cheesecake. We agreed and ordered those items. We also ordered iced pure kalamansi juice and iced tea for our drinks. 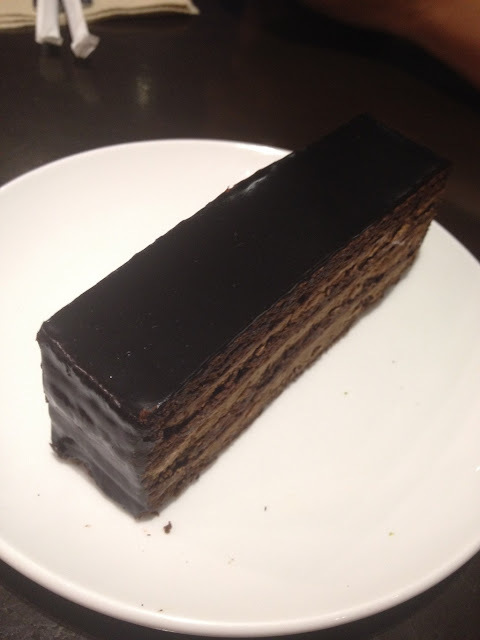 The Fujinoya Special Chocolate Cake is a cake with three layers of different kinds of chocolate. The top layer was a fondant-like and frosting-like chocolate strip. It embodies the true bitter taste of chocolate sourced from cacao or cocoa. Then it is a marble of chocolate cake and chocolate mousse to complete the experience. The sweetness of the mousse counters the bitterness of the top layer . While the chocolate cake is something of an in between. 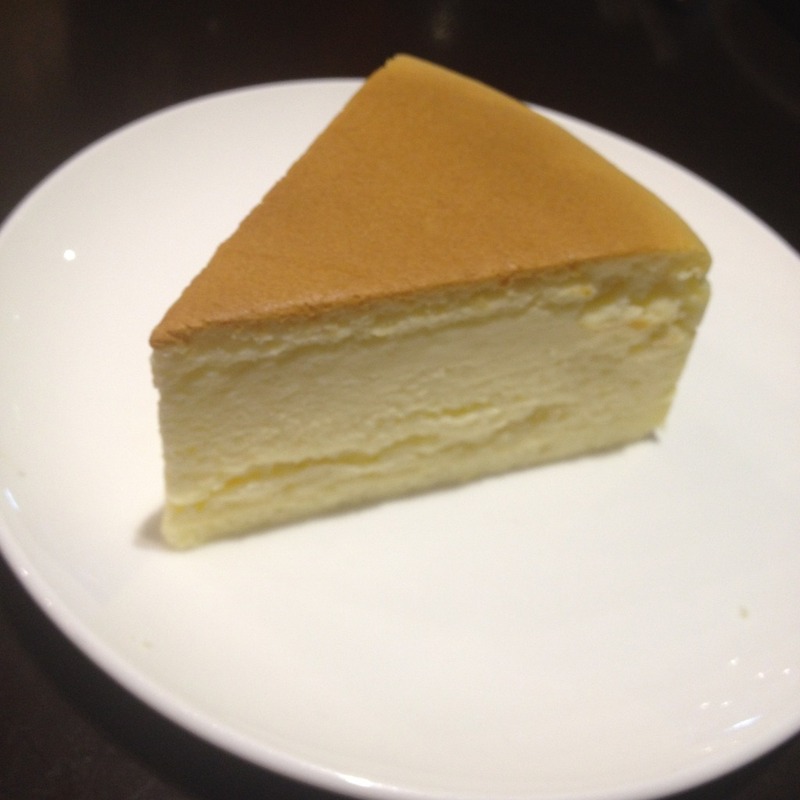 The Japanese cheesecake does not really differ that much from the other cheesecake varieties I have tried in the past. The only noticeable differences were that this was a lot less stickier. 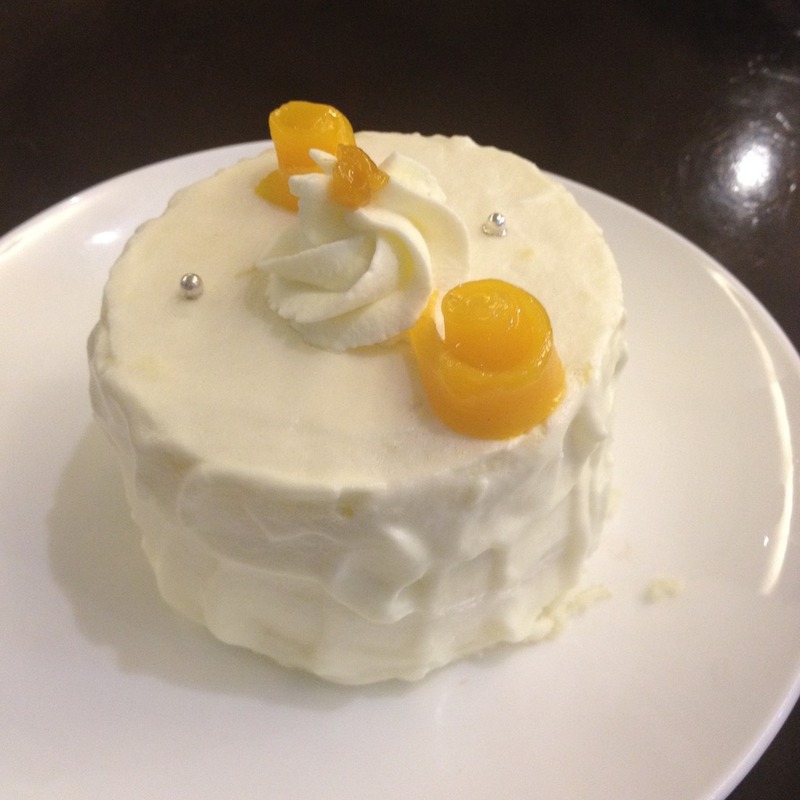 And it is not too sweet. 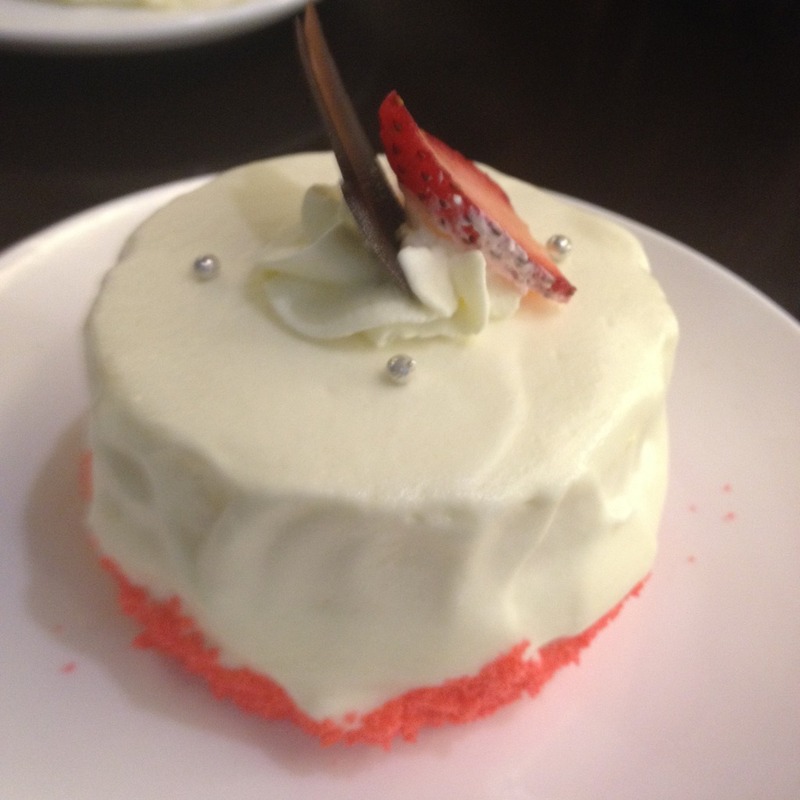 In the past, we have also tried three different varieties of the shortcakes at Fujinoya Bistro. This was during a late night visit when they offered the shortcakes at half the price. That time we ordered mocha shortcake, mango shortcake, and strawberry shortcake. Among these items, the mango shortcake was my personal favorite. The strawberry shortcake was okay. 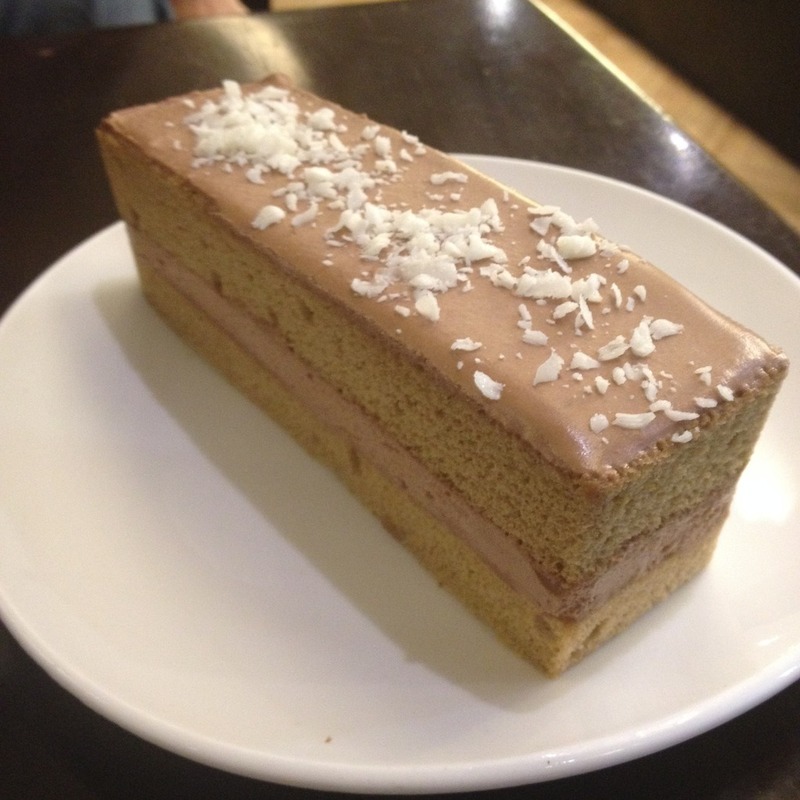 And I did not particularly like the mocha shortcake. The next time we drop by at Fujinoya Bistro, we will probably try their gourmet coffee and the meals on their menu. I think we have made enough exploring of their bakery products.